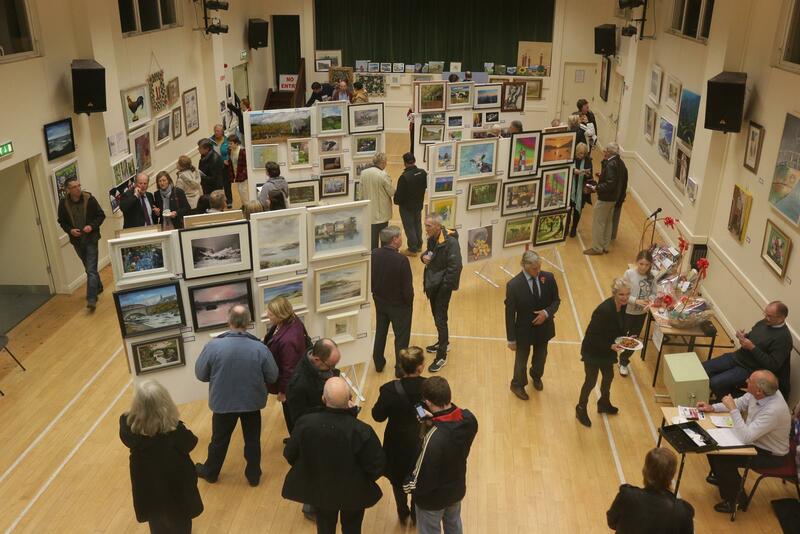 The Douglas Union of Parishes recently held their second Art & Photography Exhibition. A great weekend began with a wine reception and official opening by artist Glynnis Trinder. Glynnis commented on the great variety and quality of artwork on display and said the exhibition provided a welcome platform for artists to show their work. The exhibition attracted a wide range of artists and this year showed the work of several photographers. 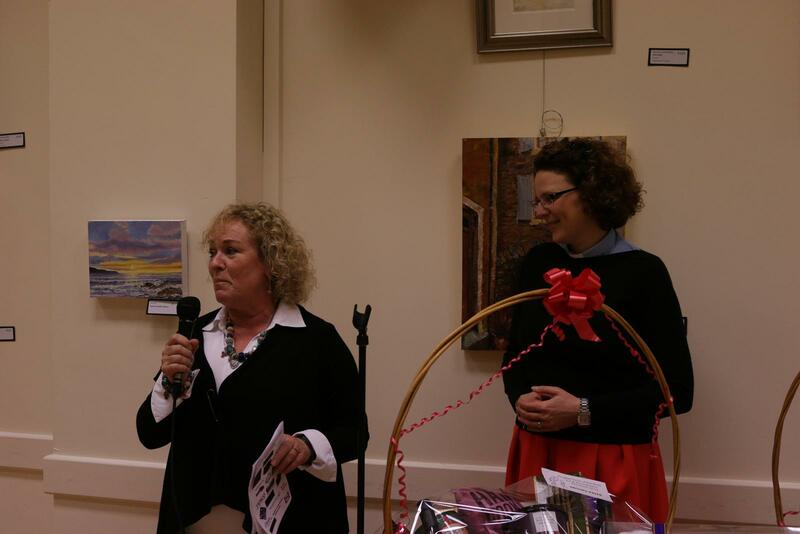 Artist Glynnis Trinder (left), originally from Douglas Parish, opens the Art and Photography Exhibition with (right) the Reverend Sarah Marry, Curate of the Parish. Children from St. Luke’s and St. Michael’s schools came along to see their entries to the ‘Mini Masterpieces’ competition. This second year of the exhibition showed increased momentum with red dots spreading around the Canon Packham Hall throughout the weekend. The fantastic display of art again provided a colourful backdrop to a great parish social occasion. 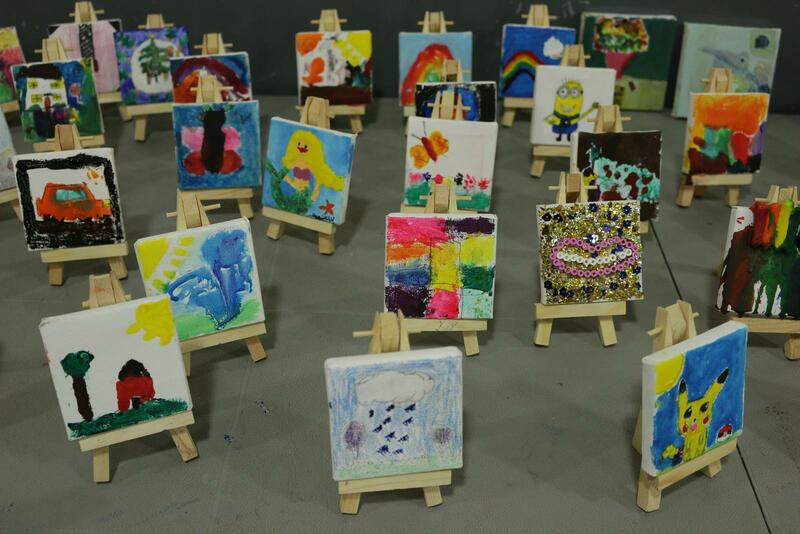 Mini-Masterpieces by the children of the Parish. This entry was posted in Diocese, Fund-Raising, Parish News. Bookmark the permalink.